Henry was from Huddersfield, Yorkshire and came with Sir Richard Saltonstall to New England in 1635. This seems to have been the first ancestry written about Henry and is included in many of the old pre 1900's genealogy compilations written about immigrants to New England. No proof was supplied to explain why he was thought to be from Yorkshire. In his book on the descendants of Henry True, Charles Wesley True, wrote that Henry was born in 1629 in Huddersfield and immigrated in 1633. He also says that Henry settled first in Salisbury and then was given land in Salem in 1649. He goes on to say that Henry was the "first of that name", meaning True, to immigrate. Something about that information should jump right out at you as really wrong. A quick search of freereg2.org shows a Henry True living in a village called Augton near Selby, some 40 odd miles from Huddersfield. But it appears that he might still be living and having children in Augton in 1640. So, what does this information give us. Nothing. So there was a man named Henry True in Yorkshire, there is no way to connect him with our Henry. The second main storyline about Henry's ancestry is centered on the Norfolk County coastline. There is a concentration of the name True/Trew in this area. This theory is popular because Henry was a mariner and it would make sense that he might have coastal origins. Parish records show a marriage of John Trew and Jane Garrett on 16 June 1590 in a small village called Caister by the Sea. A Henry Trew, parents John and Jane, was baptized at Caister next Yarmouth on 30 May 1591. This Henry is the one that many people say was the immigrant to Massachusetts. A Henry Trew married Marie Newale on 23 July 1615 in Filby, Norfolk, England. Filby is only 3.6 miles from Caister. The internet narrative says that Henry sailed to Barbados with his wife and a daughter named Ann, but arrived in Salem a childless widower. I can't find a birth/baptism for a child Ann, but what I did find was a burial for Marie True, wife of Henry in Jan of 1631. She was buried at Rollesby, a mere two miles from Filby. On 15 Dec 1631 Henry True, widower, married Mary Collings in Rollesby. Here's another tickler for you. On 17 July 1639, Jane Trew, daughter of Henry and Mary Trew, was baptized at Great Yarmouth. John Trew, son of Henry and Mary Trew, was baptized in the same location in 1642. Were these the children of Henry True and Mary Collings? Were they the grandchildren of John and Jane Trew? It's also possible that Henry and Mary Newale had a son Henry and he was the one to immigrate, unfortunately this is just speculation. If Henry True, born 1591, was the husband of 24 year old Israel Pike, he was 54 years old when they married. The Henry who married Marie Newale seems, to me, to be the man who married Mary Collings. Was he the man who fathered Jane and John? If he was in Great Yarmouth, just a few miles from Filby, in 1642, what happened to his family? There is no way of knowing, at this time. One big problem is that we have no clue as to when Henry True of Salem was born. He left no clues to his age, such as in a court deposition. If we don't know when he was born, than it is impossible to say who he was and where he was from. Was he a mature middle aged man or was he closer in age to his wife Israel? From a genealogical standpoint, I don't think we can make any claim to his English ancestry. So, what do we know about Henry True, glad you asked. No mention of Henry is found in Massachusetts prior to 1644. A deed of sale was written August 16, 1644 signed by Edward Gibbons of Salem. Henry Trew of Salem was the proud owner of a house and some land. The house lot was on the South River and came with about 1/2 acre of land. According to the Perley map it would most likely have been somewhere along modern day Derby Street. Henry was later given a 10 acre lot in the South Field of Salem. Henry was a farmer and mariner by occupation. He may have sailed part of the time and farmed when he was back home in Salem. On 18 September 1656 Henry was the master, or ship captain, of a ketch called the Returne. He was anchored in Carlisle Bay, Barbados. The ships cargo was molasses, bound for Boston and destined to be made into Rum. He may have delivered a cargo of salt cod, a staple in the diet of the African slaves in the islands. A ketch was a small two masted ship. It was used for fishing and for trade. It is important to note that Henry did not own this boat, he was one of many men hired to sail it. In 1657 Henry bought a house in Salisbury some forty miles to the north. Why? Maybe he wanted to settle down and farm. 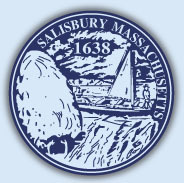 Salisbury, while close to the coast was not a shipping center. Maybe he was ready to give up sailing and settled down with his growing family. If he was the Henry born in 1591 than he was sixty six years old and rapidly approaching old age. It is not known when or if Henry moved to Salisbury, but Israel is known to have been there in November of 1659. Our Henry was a real man of mystery, we don't know all that much about him, including when and where he died. There is speculation that he died at sea, some say up near Canada, I say, how do you know that! He could just as well died in his bed. All we do know is that Israel was selling the Salem property in November of 1659. An inventory of his estate was done in March of 1660 and included both the land in Salem and in Salisbury. He also owned cows, pigs, a horse I think, the clerk had terrible handwriting. Henry also owned not one but two bibles. The total estate was only worth a very modest 175 pounds. Henry's death left Israel a widow at the age of forty. We don't know how many of her children were living but her youngest was only about 3 years old. What choices did she have, very few. On 18 June 1660 she married twenty four year old Joseph Fletcher. In 1662 she gave birth to her last child, a daughter named Mary. Apparently in 1679 Joseph had a serious health scare which frightened him enough to write a will. I have never seen a copy of the will and not sure if it still exists. Author David Hoyt wrote about it in his bio of Joseph in his book "The Old Families of Salisbury and Amesbury". He wrote that Joseph split his estate between the three surviving True children and his daughter Mary. Joseph survived his illness and went on to live another twenty years. Unfortunately his and Israel's daughter Mary died at age twenty. Israel died on the 12th of March 1699/1700. Her husband of almost thirty years, Joseph followed her to the grave three days later on the 15th. In his journal, The Reverend John Pike, said that his Aunt died after forty hours of sickness. He recorded that his Uncle Fletcher died of the same distemper. Both suffered first from a cold shivering which progressed to a strong fever which carried them both off. They were married twice as long as Israel and Henry. In 1695 Joseph gave given all his possessions to his dearly loved sons in law, Henry Jr. and Joseph True. Of Israel's eight children, only three remained alive to see her into her grave. Perley, Sidney. The History of Salem, Massachusetts. Vol. 1. Salem, MA: S. Perley, 1924. Print. Perley, Sidney. The History of Salem, Massachusetts. Vol. 2. Salem, MA: S. Perley, 1926. Print. Hoyt, David Webster. The Old Families of Salisbury and Amesbury, Massachusetts: With Some Related Families of Newbury, Haverhill, Ipswich and Hampton. Providence, RI: Snow & Farnham, Printers, 1897. Print. Pike, John, and Alonzo Hall. Quint. Journal of the Rev. John Pike, of Dover, N.H. Cambridge: Press of J. Wilson and Son, 1876. Print.